Linda Vernon Goldberg concentrates her primary practice in lending and real estate transactions as well as providing general counsel to a wide range of businesses. For 15 years Linda was in-house counsel for two financial institutions, and before that she was a commercial real estate attorney in one of the largest law firms in Chicago. 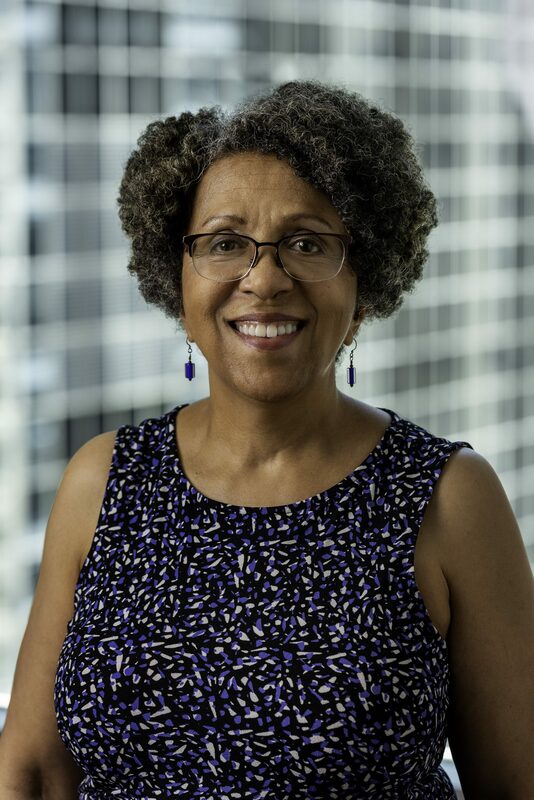 She was in-house corporate counsel to the City of Chicago focusing on small business financing, affordable housing, arts and cultural programming under the administration of Mayor Harold Washington. Linda is involved in non-profit and arts advocacy, having served on the board of directors of a symphony orchestra and a non-profit theatre. She has assisted clients in performing and visual arts, music, education and community development, copyright, licensing, venue and contract matters. Linda has turned an interest in health and fitness into an avocation. She holds a Personal Trainer Certification and is a candidate for an Orthopedic Exercise Specialist Certification, both through the prestigious American Council on Exercise (ACE). She has assisted fitness centers in restructuring member agreements and is available to provide counsel to fitness centers and fitness professionals. Real Estate Broker and Consultant, Landstar Realty Group, Inc.